At IBC 2018 in Amsterdam, Nugen Audio will be previewing a significant update to its Loudness Toolkit on stand 8.D56. Loudness Toolkit 2.8 will provide a new loudness parameter, Dialogue LRA as well as new flexibility to simultaneously monitor multiple integrated measurements. What is In Nugen Audio Loudness Toolkit 2.8? The latest version introduces native 7.1.2 audio processing across the board. VisLM - now has a new loudness parameter, Dialogue LRA as well as new flexibility to simultaneously monitor multiple integrated measurements all designed to be the first product to support the new Netflix delivery spec with dialog gating for dialog consistency as well as improved compliance alert indicators and support for SAWA (LEQm). 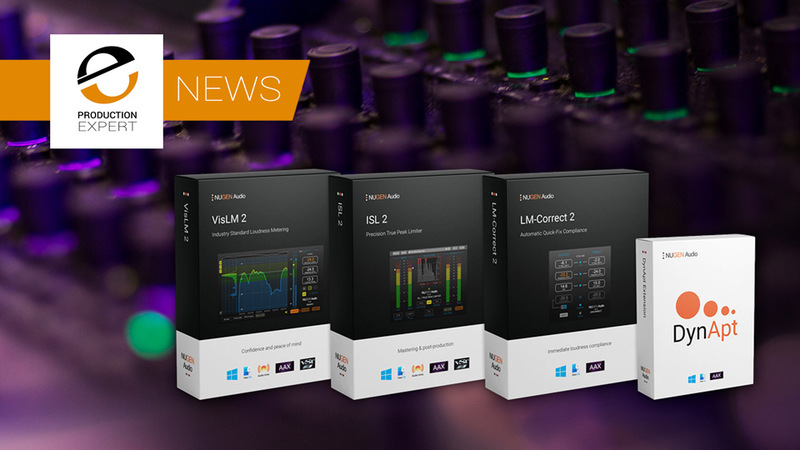 ISL - the broadcast true-peak limiter now natively supports track counts up to 7.1.2. LM-Correct - now handles 7.1.2 de-interleaved files offline (in addition to the existing stereo, 5.1 and 7.1 support) and will natively handle 7.1 and 7.1.2 tracks in the Avid and Adobe timelines, when applicable. DynApt Now Included - The toolkit also now includes the DynApt extension. DynApt will be standard for all new customers and there will be upgrade options available for existing users in their online account areas on the Nugen Audio website. The Loudness Toolkit update will be available in the 4th quarter of 2018. Also, on display at IBC this year will be Nugen Audio’s other post-production bundles. The Surround Suite and Nugen Post bundles are designed for high-quality broadcast, film and game audio production. Look out for more on the new Netflix presets and workflows in the coming weeks.